If you are looking for a fantastic treadmill with plenty of additional features, but one that won’t break you bank, then the DKN ExRun Treadmill might be your answer. Designed in such a way that it can help build fitness and performance the EzRun is a fantastic at-home model. So, let’s take a more detailed look at the EzRun’s features. We love that the EzRun comes 95% assembled in its box, you won’t be subjected to hours of assembly time before even attempting to use the product. The motor is smaller than industry standard at just 1.75 CHP, but this doesn’t affect the smooth ride at all. In fact without knowing it was just 1.75 CHP you would think it to be much higher. If the drive size is a concern for you then the Nordictrack C1650 Folding Treadmill with its 3.5CHP motor might be worth looking at. The cushioned deck is 20.5” x 55.1” which is ideal for most users’ gaits. 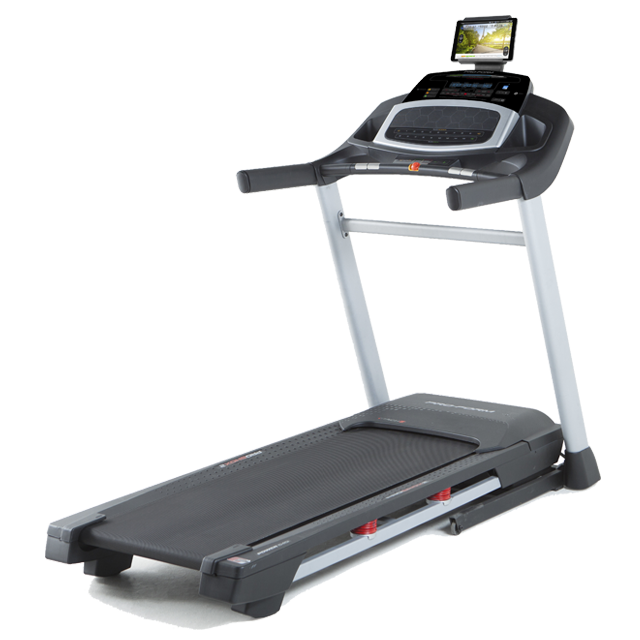 If you are looking for an above average running track then look towards to NordicTrack Commercial 2950 Treadmill which has a 60″ x 22″ running deck. . The top speed is an impressive 20kph. 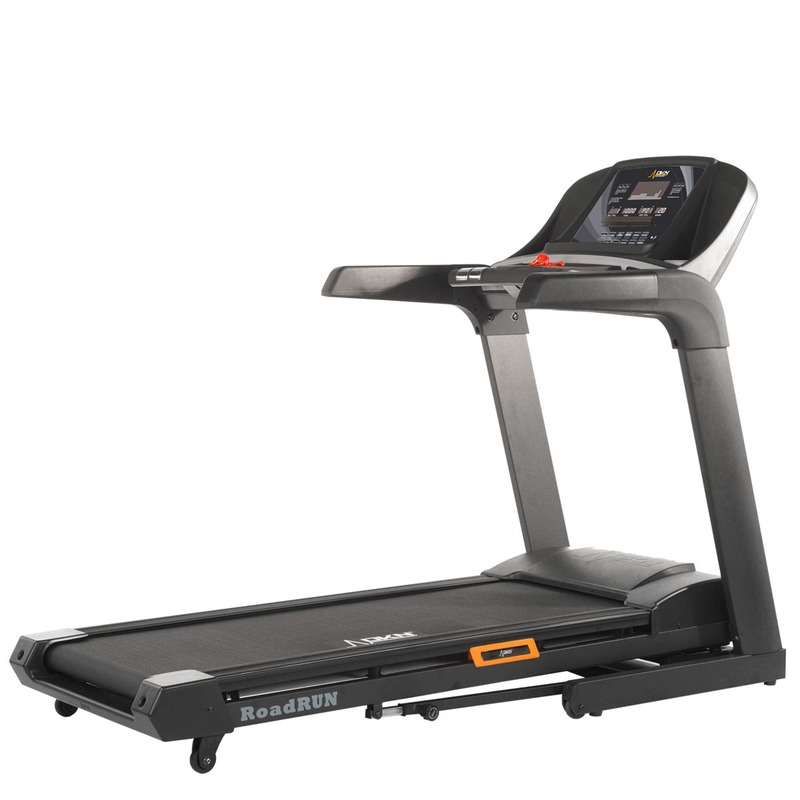 Many other similarly priced treadmills do not have an incline ability. The EzRun has an incline range of 0 and 12%, this will not only improve the sensation of real-road running but it will most importantly activate another muscle group. The incline percentage can be easily toggled between during workouts by simply pressing the Quick Keys. 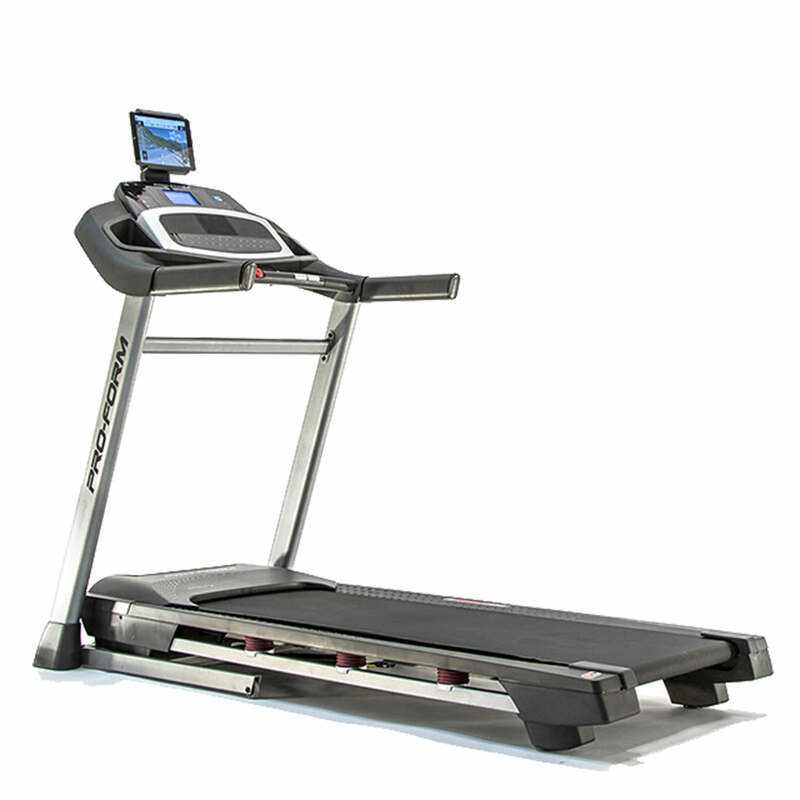 If you are hoping to source a treadmill that also has a decline ability then look into the NordicTrack X22. As standard, there are 15 pre-set programmes with the EzRun and each have been designed by industry professionals. We think that 15 programmes is plenty to keep a varied workout routine so that you don’t get bored. However, if you want even more then the NordicTrack Elite 4000 Treadmill has a whooping 40 programmes. One of the best features of the EzRun is that there are two customizable user profiles built into the system. Two people can enter their age, gender, weight and height to get more relevant and personalised workout feedback. 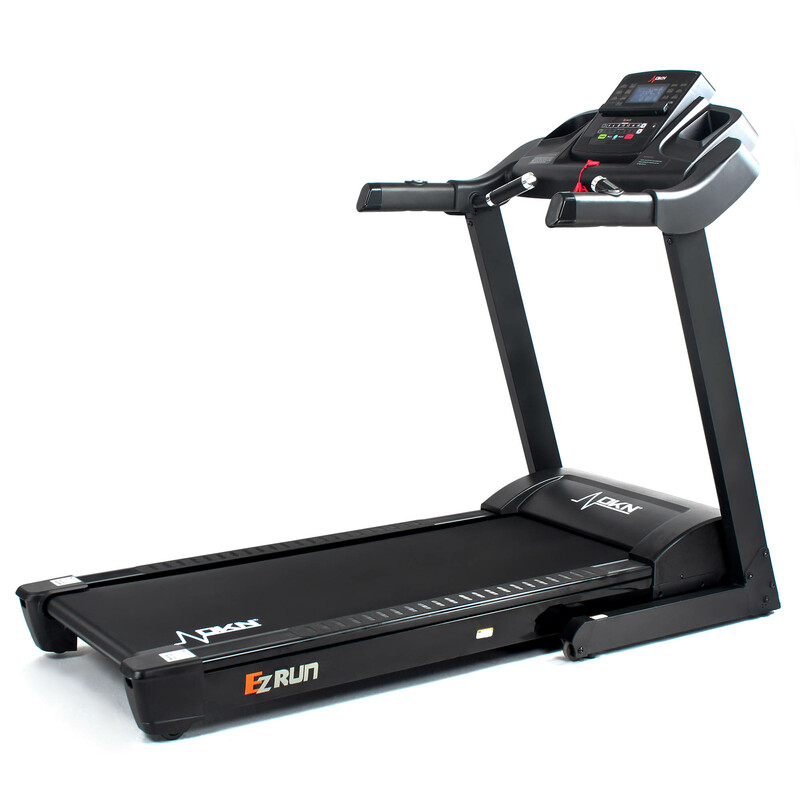 The EzRun Treadmill comes with DKN’s Bluetooth chip built in so you can connect it to other Bluetooth devices. The 5” blue back-lit LCD display shows your workout stats clearly. There are many more treadmills that have web-enabled consoles such as the Nordictrack C990 Treadmill, but if you just want to see your stats then the EzRun is ideal. Instead, you could utilise the tablet holder and place your own screen alongside the console. There is a built-in Polar compatible heart-rate receiver, and so you can keep a closer eye on your heart rate during workouts, this is particularly important if you want to stay in a particular heart-rate level. We think that DKN have done a fantastic job with the EzRun, creating a model that is both well equipped and with a fair price tag. The model has all the features that you could need to push your performance to the next level. It may not have state-of-the-art technology but if you are looking for a solid machine, without distractions to train on. Then the DKN EzRun Treadmill might just be your ideal partner.